Help your kids stay focused with Limitly on Android. Set the time, when you allow your kids to use apps and mobile gadgets. Restrict distractive apps for a time or block them completely. 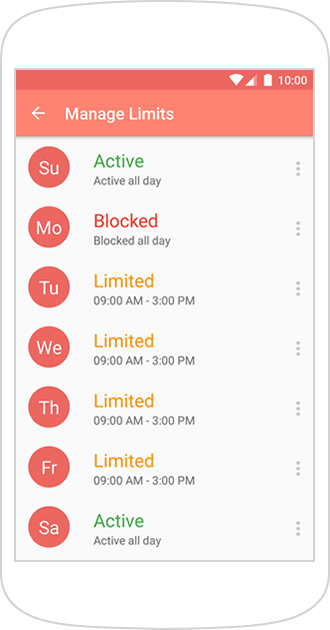 You can limit any app on any day of the week. Limit games and apps for fun to let your kid use them for e.g. 30 min on weekdays and an hour on weekends. Leave educational apps with no restrictions. 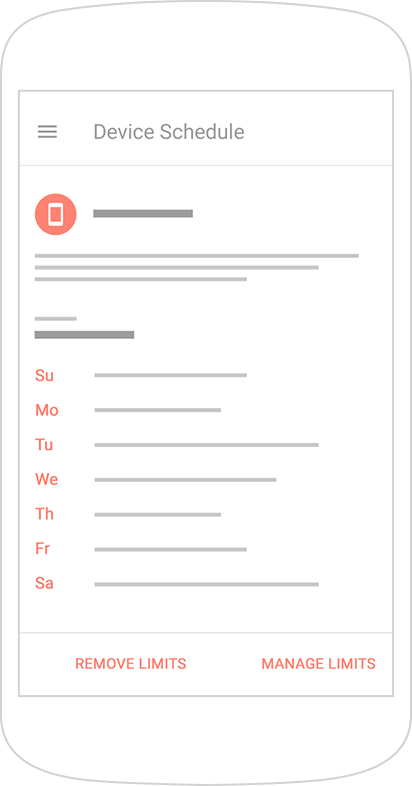 Set a day-by-day timetable, when you allow your kids to use their mobile devices. Not a problem if your kid chats with online friends at daytime during weekends. Still it is a wise idea to block the device at bedtime and at school. Limits and restrictions are not what children like. 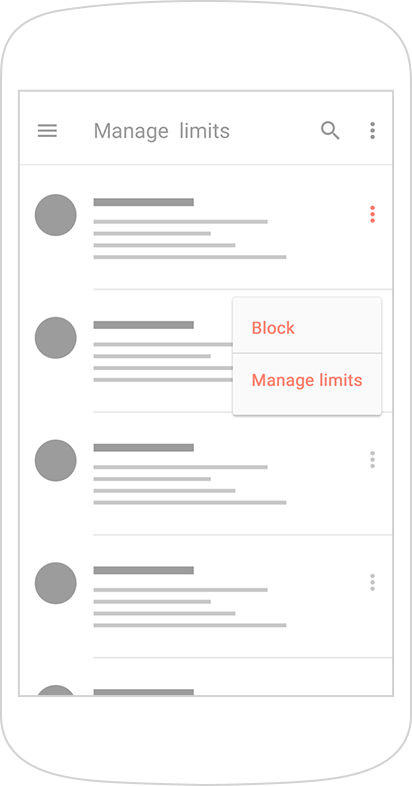 Enter a unique text message your kids will see while a limit takes action. Remind them about home assignments or housework. Type in any customized, child-friendly text. Check detailed app use reports daily, weekly, and monthly. See which apps your kid favors. How many times he or she has launched them and spent on them. How many times your limits have been reached. This helps adjust restrictions more flexibly. 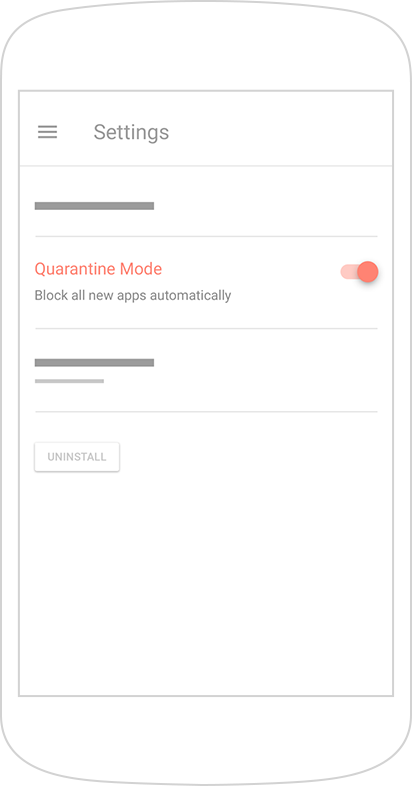 Block recently installed apps. 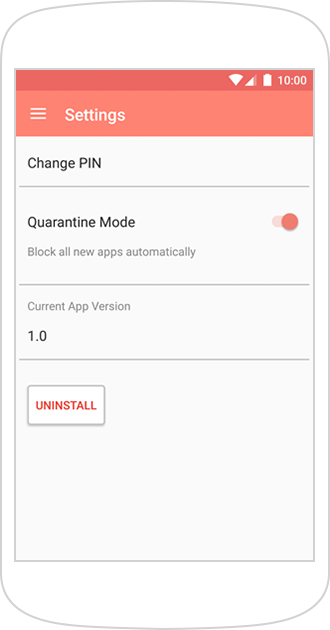 Prevent your children from using apps you have not reviewed and approved yet. 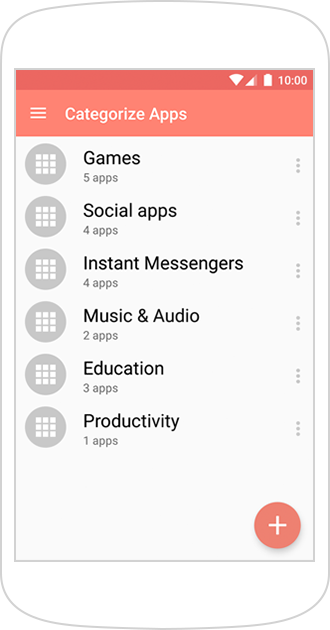 Divide Android apps by categories (Music, Games, Social, Messengers, etc.). 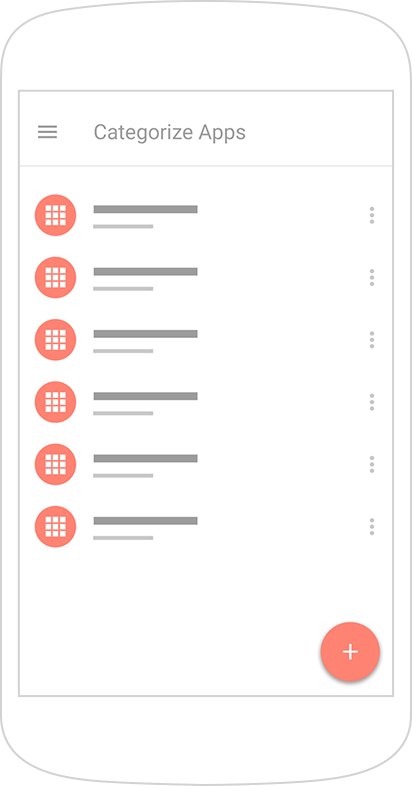 It simplifies limiting a large number of apps. View screenshots and see how Limitly looks from the inside. It is so easy to use Limitly. Nevertheless, we’ve tried to foresee some of your probable questions. Why do I need Limitly? 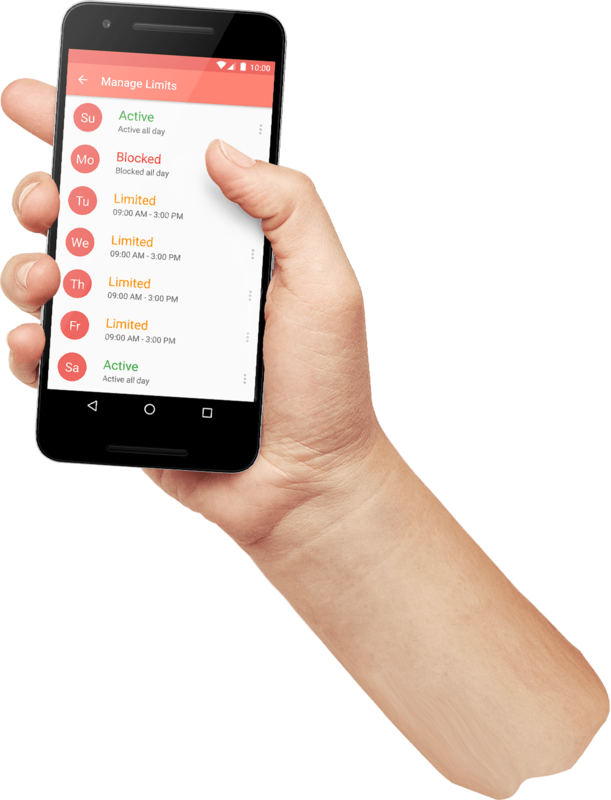 Limitly prevents your kids from wasting time on Android smartphones and tablets. Especially, when it is not allowed - at school and bedtime, while doing homework, etc. Thus, you help your children stay focused on important activities. Limitly lets you control kids’ screen time. It is essential considering that an average teen spends about 9 horrifying hours a day on a mobile device. How much does Limitly cost? Limitly is free. The app has neither in-app purchases nor any other hidden costs. You can download it from Google Play for free and use it as long as you want. Limitly is available on Google Play. There are two ways to install it. First: take the child's device in hands, open the Google Play app, find Limitly and install it. Second: sign in to your kid’s Google Play account on any device (smartphone, tablet, or PC), find and install Limitly (the app will appear on your kid’s device right after the installation). Note that remote control is not provided and physical access to kid's device is required to adjust settings. How to restore a PIN code? Note that if you have lost or forgotten your PIN code, it cannot be restored. We strongly recommend to write it down and keep it safe. 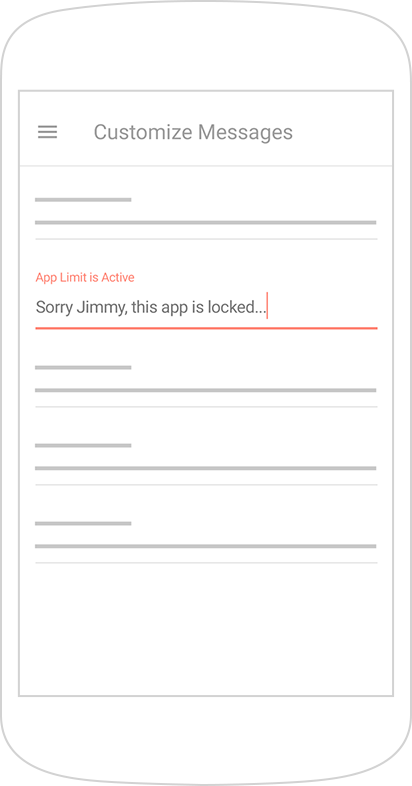 Anyway if you lose your password, please contact us at support@limitlyapp.com and we will do our best to handle it. How to change a PIN code? 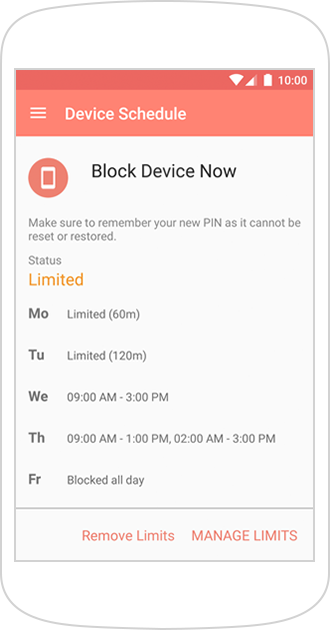 You can change your PIN code in the Settings menu of the app on your kid’s device. 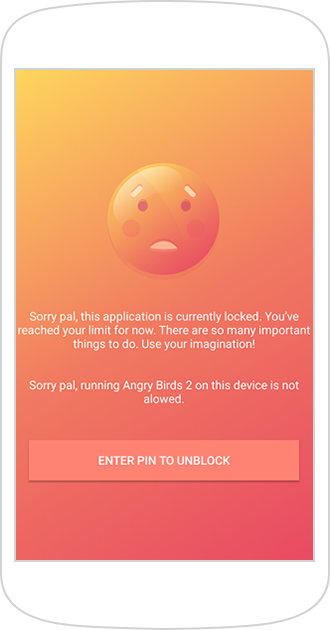 You can delete Limitly in the Settings menu of the app on your kid’s device. 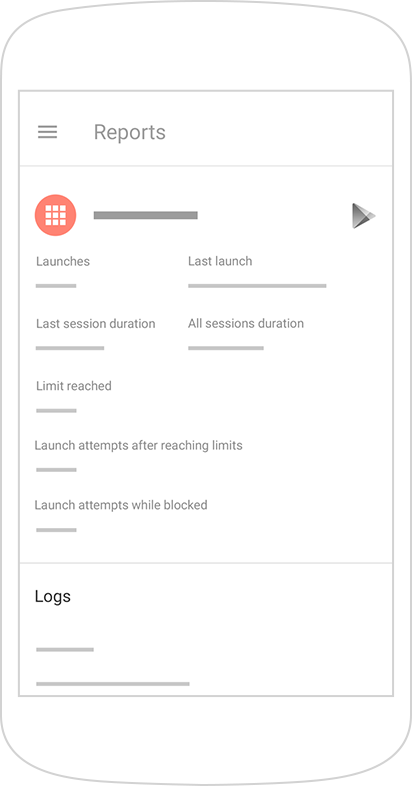 Android screen time parental control app that helps your kids stay focused. 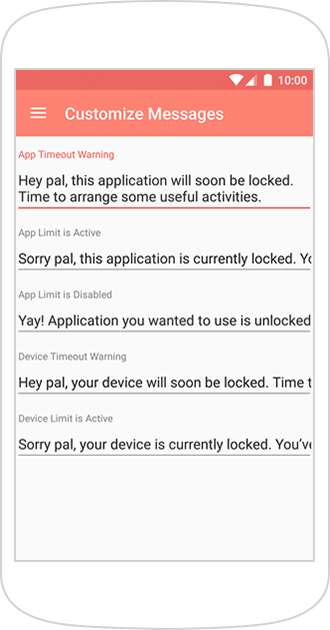 Block apps and manage applied time limits. Restrict device use day-by-day. Prevent your children from wasting time on smartphones and tablets. 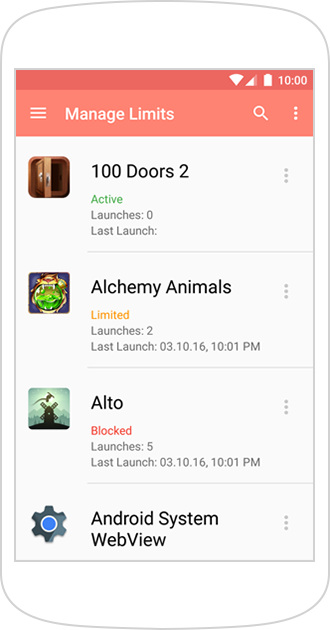 Limitly supports Android smartphones and tablets running 4.1 — 6.0.1 OS versions.